I keep experimenting different things in my kitchen but somehow I can’t match the same taste. 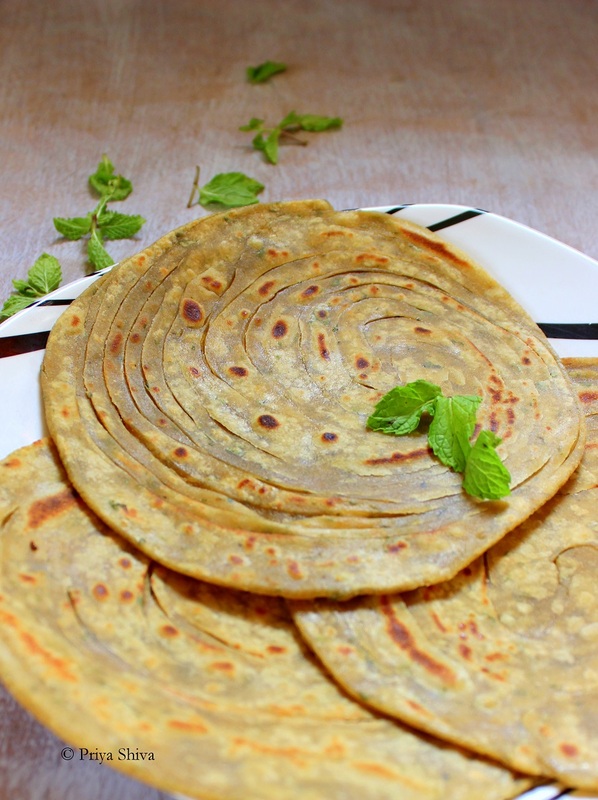 Lachhedaar Paratha is a popular flat bread from North India. Once you get familiar with the technique, its pretty easy to make it. I have used whole wheat flour as I consider it more healthy and used Mint leaves for flavoring. I served it with some Dal makhani and cucumber raita (Just click on names for recipe). Wash and mince mint leaves. 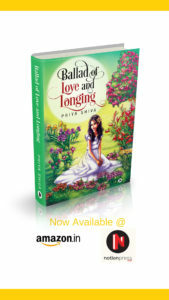 Combine minced mint leaves, wheat flour, 2 tsp vegetable oil, salt in a mixing bowl. Now slowly start adding water to form a smooth dough. Keep it aside for 20 minutes. Take a medium sized ball of dough and dust it with dry flour. Now flatten it as thin as possible. Don’t worry even if little hole appear while rolling it. You can always use dry flour to dust the rolling board or platform. Spread some ghee or oil on the flattened disc. Sprinkle some dry flour on the top. 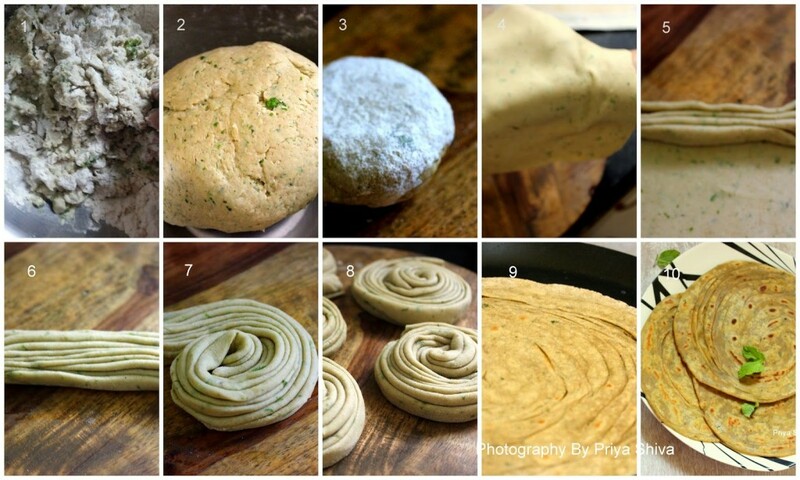 Now from the top edge, start to fold & pleat the paratha till the end as it to make a fan as shown in pic – 5, 6. Roll the pleated edges as shown above in Pic-7. Follow the same above steps for remaining dough. Lightly dust with dry flour and now roll into round parathas. Do not press very hard while rolling again or you will lose the layers. Heat the tava or griddle for 1 minute as the griddle should be hot. Place the paratha on the griddle and turn after a minute. Now again cook for a minute till both sides are lightly browned. Apply ghee lightly and flip again few times. Serve it hot with Curry and Raita. 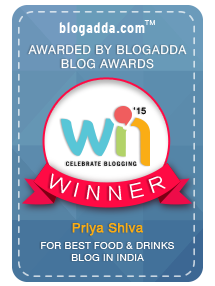 Congrats, Priya on your 450th recipe! 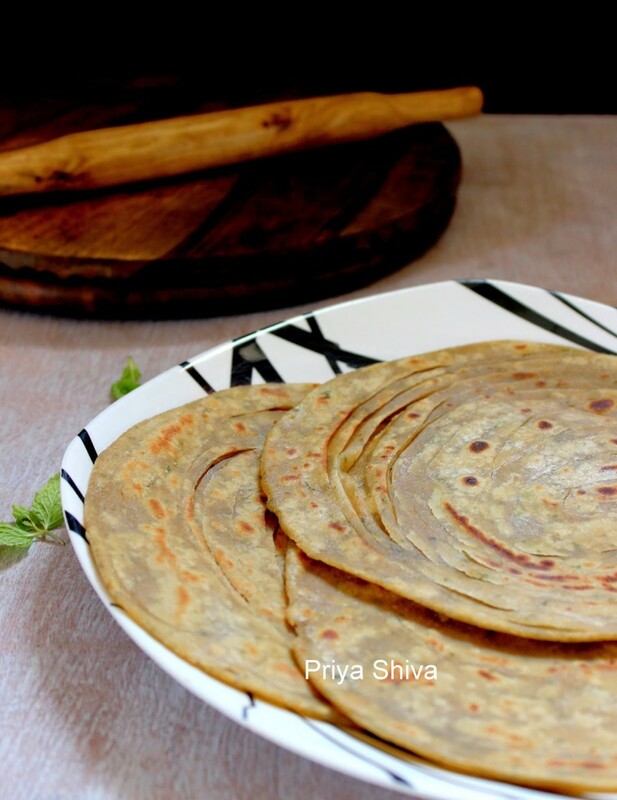 The Pudina lachha Paratha is something to die for! I love the technigue of Rolling and folding the dough! Great post! Congrats on 450th post…yummy parathas. congratulations on your milestone.. mint parathas look so refreshing. I am so impressed with this! I have never tasted this dish. But after reading your post, I decided to try to cook it, the more that you have shared with us such a detailed recipe.